This fruity pampering blend of many delicious ingredients for your guinea pig is not only a unique experience of taste and smell - it also includes an active immune complex to strengthen the defenses! The tasty mix with oranges, grapes and apples contains essential vitamins and minerals, and a healthy amount of fiber for optimal tooth abrasion and a light and healthy digestion. 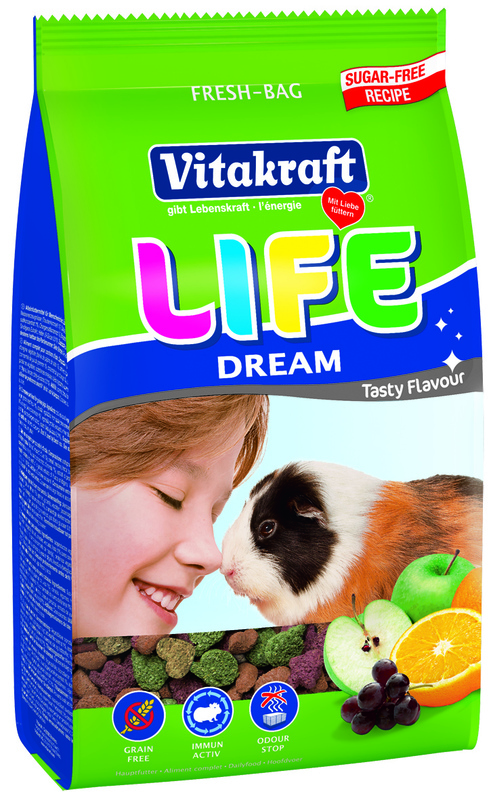 A dream for your animals!